Can a Wife Ever be a Spiritual Covering? Pastor John Gray was recently interviewed on Sister Circle Live concerning hardships in his marriage and how his wife was the one to see him through. His comments have since gone viral and have garnered the following questions: Is the man always a spiritual covering for his wife? What happens when he is not? Can a woman biblically act as a covering for her husband? People have called into question his sense of biblical manhood, the role of a husband and the church's view of the archetypical "Strong Women-" the good wife, that patiently endures the hardships of her husband while from a posture of prayer. Read more about Can a Wife Ever be a Spiritual Covering? When our kids were little and we traveled “over the river and through the woods” to visit extended family, a sense of dread would begin to well up in me the closer we got to their doorstep. Our family, like many, was messy. Old wounds, new offenses and unrealistic expectations often sabotaged our fantasies for a fun and festive time. Until we remembered to pray. The holidays aren't always all they are cracked up to be. 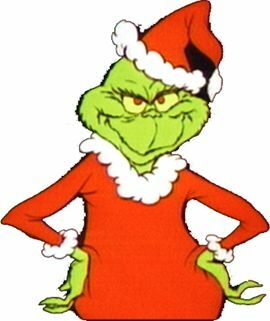 Before you change my moniker to ‘Ebenezer’ or start singing “You’re a Mean One, Mr. Grinch,” hear me out. I spent the past week with a bunch of my theological colleagues at the annual meeting of the Evangelical Theological Society. Everybody who belongs to the ETS annually signs a statement affirming their belief in the inerrancy of Scripture. And at the national conference, presenters read papers, which they often publish afterward. As a future oriented person who has always lived with chronic, holy frustration, reading Ann Voskamp's book, 1000 Gifts seven years ago changed me. Her close-to-the-heart chronicle of her journey into thanksgiving and contentment, and my processing it with her, felt like discovering Paul’s missing, long-sought-after secret. Whether you've read her work or not, this is the perfect time to read or refresh her transformative insights, Ann describes herself as a “woman who speaks one language, the language of the fall—discontentment and self-condemnation, the critical eye and the never satisfied.” Her childhood story of loss and betrayal breaks your heart. But she took a dare to list 1000 gifts in her everyday experience. In the midst of piles of dirty laundry, piles of dirty dishes, squabbles among six children and her husband’s concern over the viability of their farm in the great recession, Ann began to train her eyes to see God’s gifts and record them on her blog.This Thanksgiving I give thanks for Ann's book, especially three deep insights that have radically altered my life. But as she headed off to college, I saw her blossom. She joined ROTC and after graduation spent five years serving our country in the United States Army. Along the way, she was rewarded again and again for taking initiative and leading with integrity and foresight. When she left the Army, she believed God was calling her to use the gifts He had given her to advance His Kingdom on the earth. As the days grow shorter and golden leaves fall from trees, we pack up Halloween decorations in preparation for Thanksgiving and Christmas. Although a few costumes may linger in photos on the fridge, everything else is set aside for another year. However, there’s one thing that few of us ever put away: the everyday masks we live behind. We all have masks of one sort or another. "Remember what I accomplished in antiquity! I will accomplish what I desire." I chuckle at the mattress commercials that say “Replace in eight.” How about “Just broken in, in ten” or “A taste of heaven at eleven.” However we decided to go with “Worn plenty in twenty” and replace our two-decades-old mattress. Things did not go as planned. The salesperson ordered the wrong mattress. Before we realized it was the wrong one, we had thrown out the old one. Now we had a new mattress we could not sleep on, both because it was uncomfortable and because we were returning it. Plus our old mattress lay somewhere in the city dump. At the height of the Civil War, President Abraham Lincoln formally scheduled Thanksgiving for the final Thursday in November. He implored all U.S. Americans to ask God to “commend to his tender care all those who have become widows, orphans, mourners or sufferers in the lamentable civil strife” and to “heal the wounds of the nation” (History of Thanksgiving). With Thanksgiving just 10 days away, families and friends are making preparations for food, festivities, and football. We excel at making external preparations. But are we preparing internally for Thanksgiving? Are our hearts ready to give thanks?